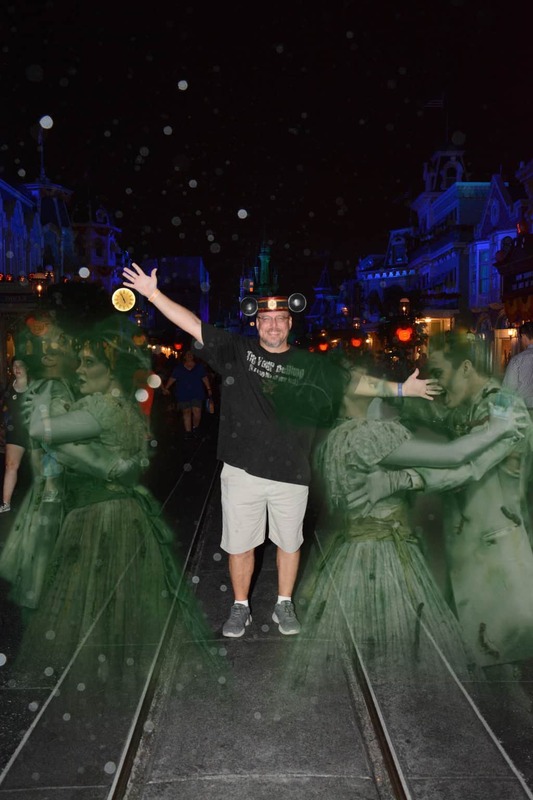 One of the small things that we enjoy each year at Mickey’s Not So Scary Halloween Party is the various Photopass “Magic Shots.” A Magic Shot is one where the photographer takes a specific posed photo and the camera system inserts characters that you wouldn’t have seen seen otherwise. 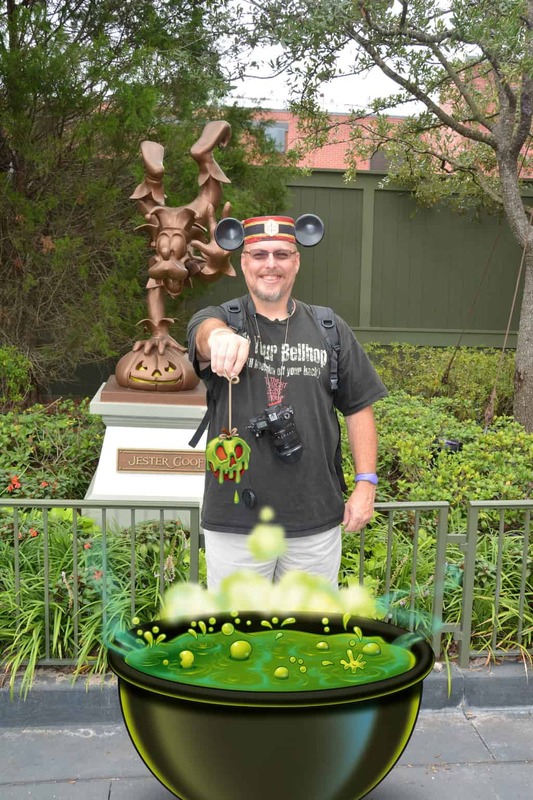 Ask a Photopass photographer on any regular day and they might have different daytime shots too. 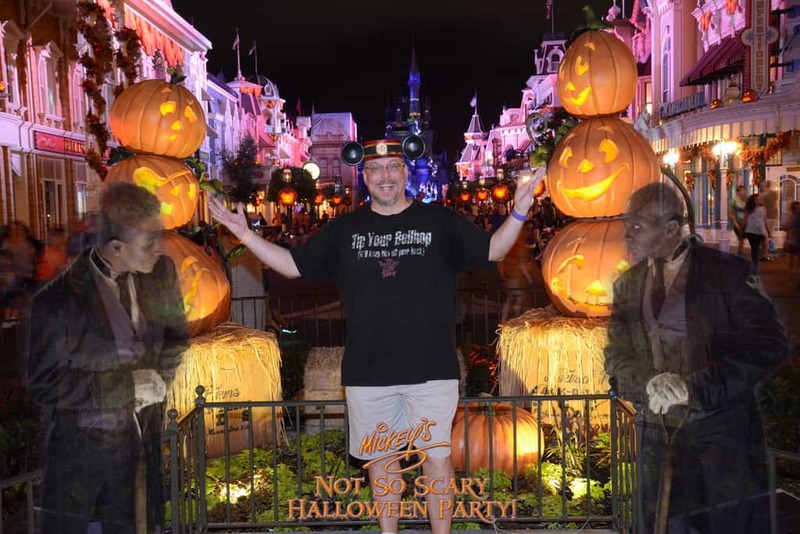 These photos can easily be linked to your My Disney Experience account using your MagicBand or they can provide you with Photopass cards. All photos are copyright Disney Photopass and are used for demonstration and educational purposes. The photographer asked me to pose like I was holding something between my fingers and have a look on our faces like we were holding something stinky. 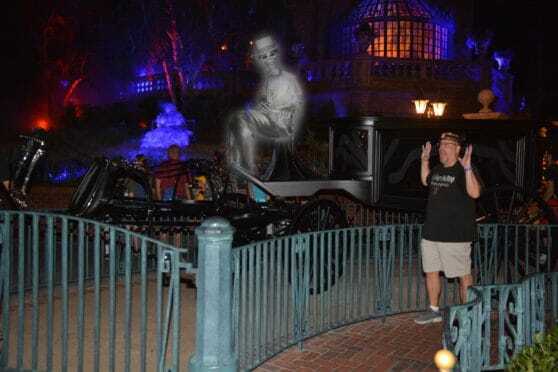 At the Haunted Mansion exit is a special horseless hearse. During the Halloween Parties we were able to get this Magic Shot with the hearse driver. 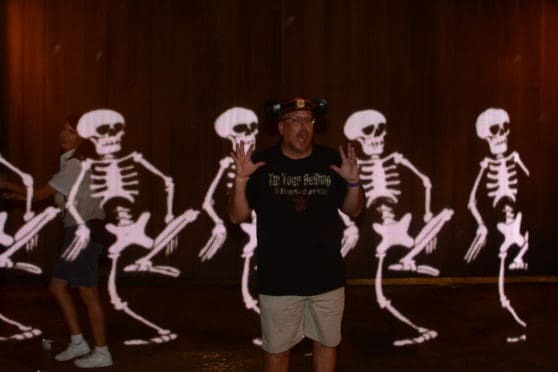 The Cast Member asked for a couple of different poses. I liked this one better. 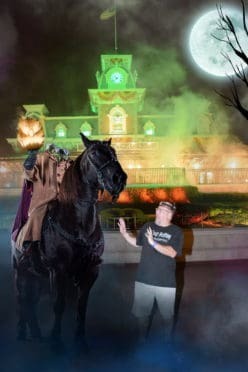 You’re asked to pose with the thumb out wanting a ride and a scary pose. 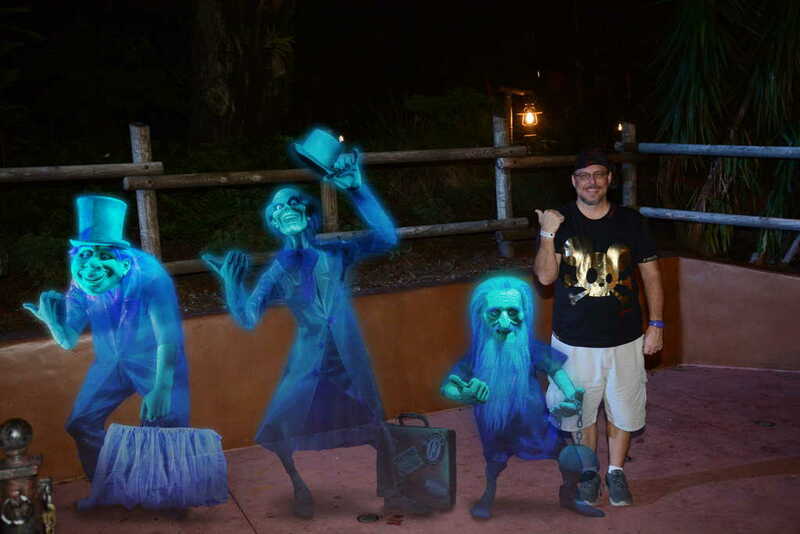 After checking the photo again, I guess it IS the Hat Box Ghost! Fun, for sure. Thanks for all your solid info. It was so helpful in planning my MNSSHP evening on 9/9/18. I was able to get an additional Magic Shot near Haunted Mansion that had my head in Madam Leota’s ball. You mean the Hat Box Ghost? Are these ones only available during MNSSHP? Or can they be done anytime during Sept. and October? In 2015, I got a Magic Shot with Iago on my arm. The photo was taken on Mainstreet between parades. Do you know if there’s a special MNSSHP prop to take a photopass picture with as well? At MVMCP last year there was the giant ornament in front of Little Mermaid ride, I didn’t know if there was something similar? Thanks in advance! LOVE CHARACTERLOCATOR.COM! 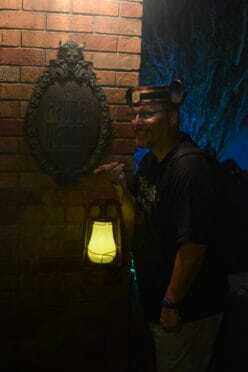 I’ll detail photopass for 2015 during 1st party. It moves around yearly. Any reason why cinderella’s mice were meeting last night? I met them outside of the dump shop for the town theater. They weren’t there when I went in, and they met a few more families before leaving… so maybe 20-30 minutes. Hi Kenny, can the candy trails be accessed from either tomorrow land or near the barnstormer or can you only enter from one side? Thanks a lot your sight has been a life saver in planning our trip in a week! Enter in Storybook and exit in Tomorrowland. Did you/ are you gonna add this icon to any of your other maps? I wanna try and get as many magic shots as possible. 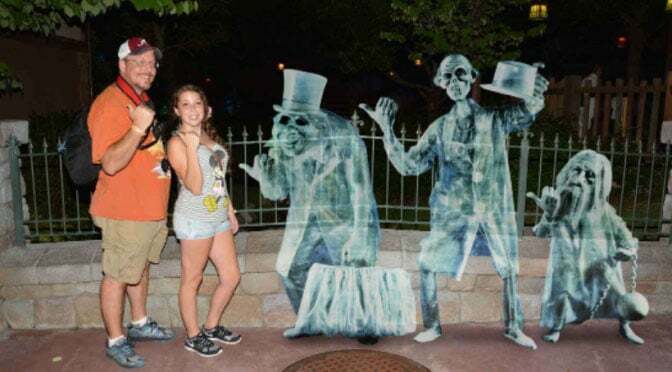 Magic Shots during daylight hours can move around a lot, so ask a Photopass person if they offer it. 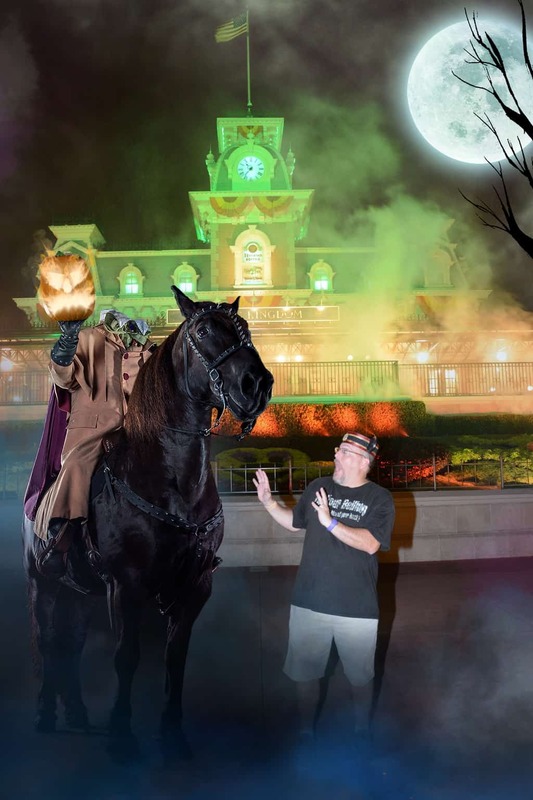 Oh, good, I’m glad they have the apple – I couldn’t find any PP photographers at Villains Unleashed that had even heard of the shot, even though the Disney Photography facebook page announced it! Although… “stinky” isn’t really a good look on me, I’ll have to come up with a more attractive face. Nice. I missed the apple one which looks awesome..